Directed by Carl R. Smith, Jr. Celebrate the holiday season with a delightful story about the true meaning of Christmas. 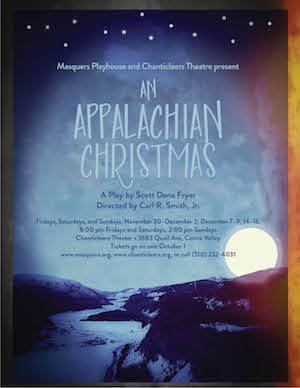 Set in the mountains of Appalachia in the 1930s, this heart-warming play follows a young boy living with his spinster aunts. Through some very difficult life lessons, he learns the importance of giving and having gratitude in good times and bad.